The Low Back Primavera 3204 Beaded Sequin Formal Dress oozes sophistication and style with s a high neckline and open, cross body back. The Low Back Primavera 3204 Beaded Sequin Formal Dress oozes sophistication and style. 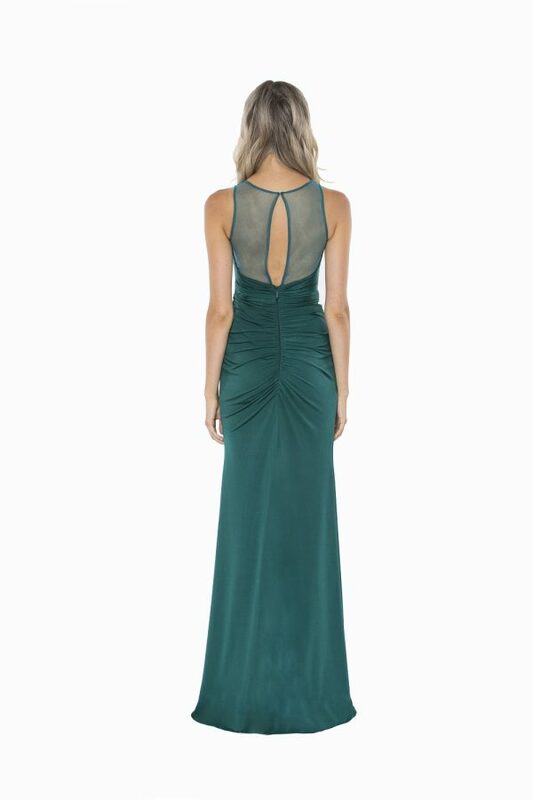 This beautiful gown features a high neckline and open, cross body back. The fitted bodice slims the silhouette to ensure a truly flattering fit.